You might not have heard from the Wallachians before, but they shaped many of the alpine regions in Europe as we know them today. According to the historic data available, Wallachia existed from the early 12th century until the 19th century. The main Wallachian territory is nowadays part of Romania, between the Danube and the Carpathian Mountains. Especially during the 12th to 15th century, the Wallachians were expanding their distribution in the Carpathians. Because many other groups of people already controlled the valuable lands in the valleys, Wallachians had to move into the alpine regions. 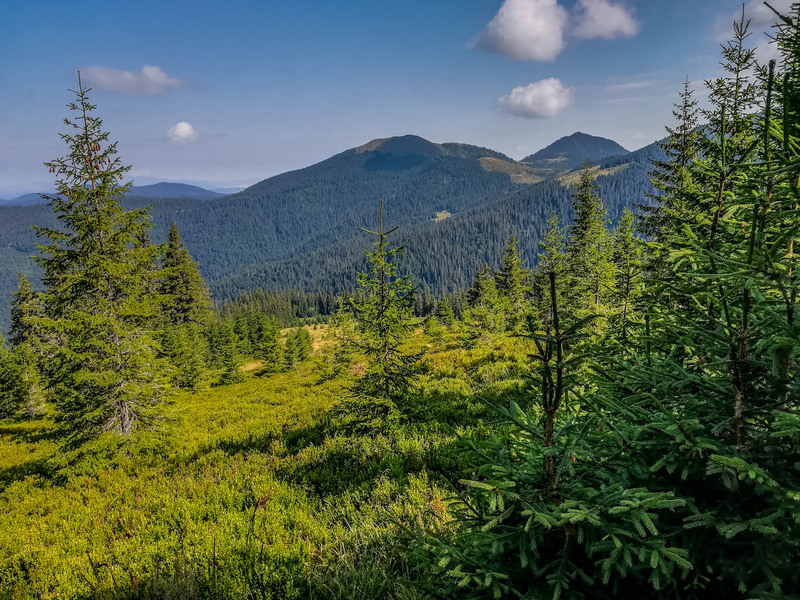 In many parts of Europe, the mountain forests initially had different zones along the altitudes. At lower elevations, people would find broad leave and beech forests. Yet, at higher elevations you encountered spruce forests. Finally, above the treeline, were the grasslands that the Wallachians chose as pastures for their livestock. Even the Beech forest covering once almost 75% of Europe were suffering from increased logging to fuel the increasing demand of the glass and pottery manufacturing industry in Europe. Charcoal kilns dominated the medieval industry until hard coal was discovered. However, the Wallachians wanted to expand these grasslands as pastures. They started to remove the dwarf pines, and cut down spruce trees on higher altitudes. As a result, they lowered the treeline in some regions with several hundreds of meters. The Wallachians continued to use the expanded pastures for their livestock. Therefore, the forests was unable to regrow at higher altitudes. Basically, the Wallachians were amongst the pioneers of alpine shepherds in Europe. By the time of the 16th century, they reached the Western Carpathian Mountains of the Czech Republic. Also here, they continued the large scale deforestation and grazing on higher altitudes. However, the impact of the Wallachians extended beyond changing the treeline. Research indicates how the abrupt deforestation increased instability of the mountain slopes. Since the Wallachians removed the upper part of the forests, erosion and sediment runoff increased dramatically. This resulted in floods, mudslides and avalanches towards to valleys. After the Wallachians disappeared from the higher alpine regions in Europe by the 19th century, another change took place. Timber forest plantations started to take over the available space above the treeline at that time. The increased demand for spruce was also fuelled by the mining industry which needed fast growing timber. Spruce had for the miners the additional benefit of creaking before breaking compared to beech or oak trees leading to a further demise of the broadleaf trees in Europe. Spruce trees were a natural warning system before mine shafts collapsed. The afforestation resulted over time in an increase of treeline altitude. However, in many regions, the treeline is still some 100-300 meters lower than it originally used to be. Although the practice of alpine shepherds disappeared in many countries, there is a growing demand for them. More and more alpine livestock owners realise that it is not longer sufficient to send their animals up into the mountains without protection. Especially because of the returning predators across Europe, such as the wolf. If our society does not want to lose the traditional culture of alpine herds, pastures and grazing, shepherds are the key to move forward. Luckily we can learn an important thing from the Wallachian shepherds. Cutting down forests to expand the pastures, will cause more damage than good. With the modern shepherds we should find a balance in maintaining alpine pastures, and sustainable alpine forest development. Wilderness and Wildness – What is the difference? Thank you. I. misunderstood…I thought it was a specific area in Rumenia. Dear Bram, thank you for your comments. The impact of the Wallachians can be seen in many alpine countries in Europe actually. As described in the posting, not only Romania, but also other countries of the Carpathians were affected by their historical presence. For this specific posting there is not really an exact place to put a marker on a map, hence the lack of it. Hello, Just a Google map indication so that I can see exactly where the area is. ( Google) maps together with the article. Very nice especially because I want to visit these areas. what kind of map are you looking for? One with the countries mentioned or something else? Please give a map together with your interesting article!